Wiley Miller is a man of many talents: skier; pilot; man with an incredible head of hair. The skier known colloquially as "YLE" rides like a man worthy of such a three-letter moniker, and his newest season edit "Now" is pulling no punches. Compiled of his favorite shots from the past season and from his parts in Habit, Pleasure, and Numinous, "Now" finds YLE crushing everything from big mountain ] lines to feathery BC pillows. We called up Wiley to ask him a trio of questions on how the edit came together. 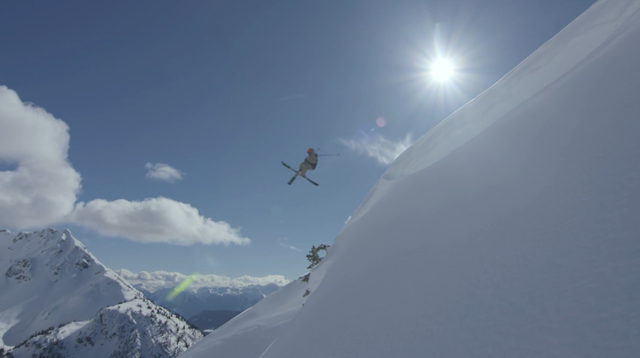 TGR: What stood out about making this edit for you? YLE: I think for me, personally, what makes this edit stand out is that it just kinda showcases the progression I’ve had in my riding over the last couple years. Miller's big mountain riding has definitely grown since the days of Real Ski. Screen grab. I used to build a ton of jumps, you know I competed in X Games Real Ski and all that. But in 2014, I started committing my season to be more towards personal goals with my riding I started wanting to ski bigger terrain. I think this showcases the progression of my riding and the goals I've been able to achieve with it. When did you find time to get your pilot's license? 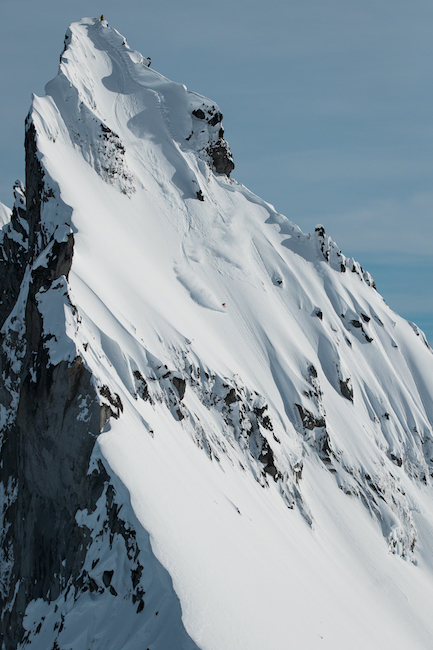 YLE: So, back in 2012, I was up here in Pemberton in the spring shooting with Level 1 and Rory Bushfield hit me up like, "Hey, I’m gonna be in the area flying do you wanna go for a ride?" So he and Sarah Burke picked me up and flew me around and it just inspired me to get my license, but I had no idea how I would get it. That summer I went back to Utah where I was living at the time, and it just so happened I met this guy in Salt Lake who was opening a flight school. I was able to work a sponsorship deal with him with my skiing to get my license at a discount, and I finished my training off that fall. Right now, I don’t own a plane–I just belong to a flight club in Utah–but I'm getting my license transferred to Canada to fly up here in BC. It’s a recreational thing for me, and I'm hoping I can use it to scout terrain in the coast range of BC. It's sick; I really love flying. So, what's your next goal to hit in terms of geography? Any locations you've been eyeing? YLE: I've been trying to progress my riding on natural terrain; I want to be able to look at something and confidently spin off it. I'm starting to get there, but next I want to spin off something with bigger terrain, and really blend big mountain and freestyle. There are a lot of items on my hit list here in the Coast Range in BC. I definitely have some unfinished business in Revelstoke and out that way. I want to hit Eagle Pass Heliskiing again. A lot of the shots that came in this edit came from Eagle Pass, so there's still some stuff I want to do there. Beyond that, I really want to put together a ski and surf trip in Alaska. There are a couple locations up there I've been scouting I want to go visit.